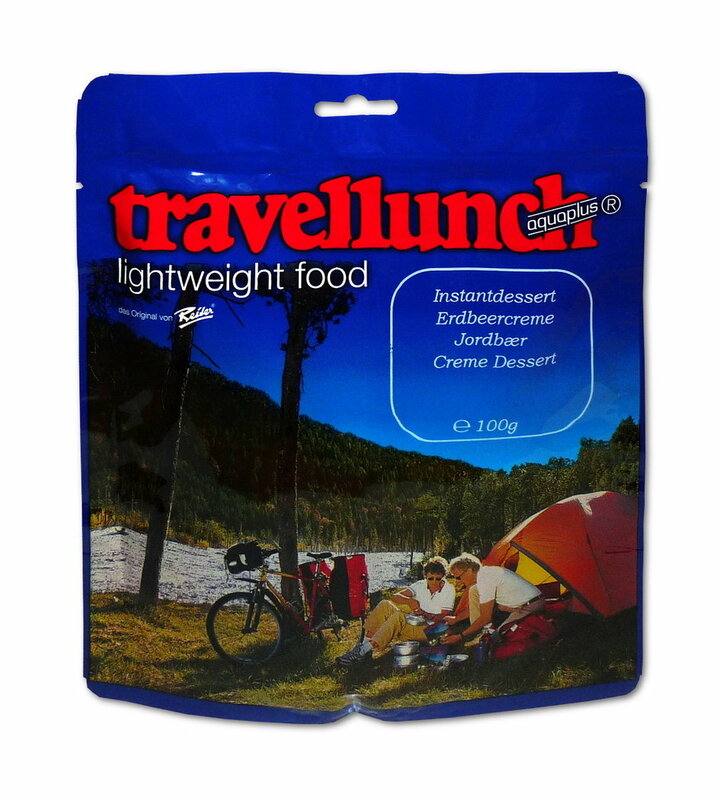 The delicious desert creams from Travellunch are easy and quick to prepare. Depending on your taste add 150 - 175 ml of cold water and stir the contents, let stand briefly. This makes them ideal for emergency catering or as provisions for outdoor and trekking activities. Ingredients (manufacturer's details): Sugar, glucose syrup, hardened coconut oil, skimmed milk powder, modified starch, strawberry powder (4%), thickener: alginate and guar gum, Acidifier: citric acid, lactic acid, palm fat, emulsifier: mono- and diglycerides of fatty acids, milk protein, flavor, colouring: beetroots, acidity regulator: E 340, E 450c, E 500ii. Contains milk products and lactose.